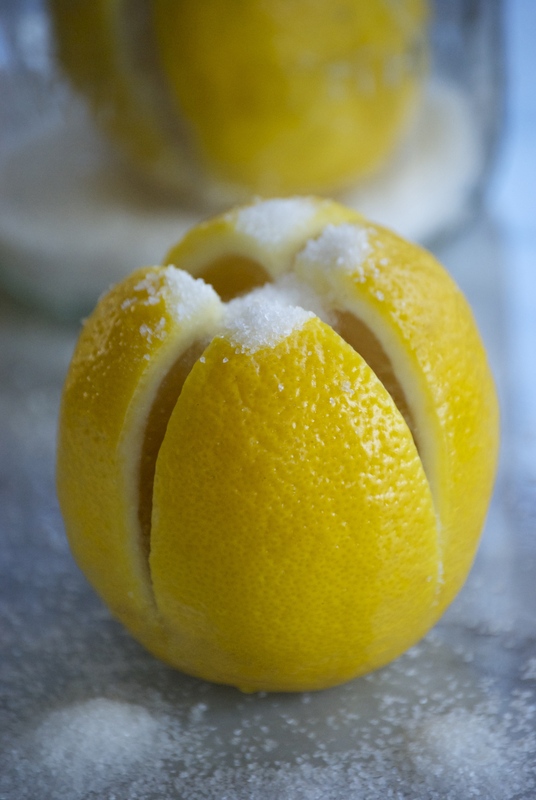 Ahhh…citrus in Spring. Fresh, vibrant, and beautiful. You already know that I’m a sucker for pretty much anything citrus-related– just take a look at these and this… and these… and this…and this..and these…and these…and this… Wow! I didn’t realize I was that big of a sucker for citrus! Well, you get the point. Another great way to indulge in these brilliant fruits is by making curd. I know, the name doesn’t sound very appealing, but think of it more as a silky, citrus pudding. Much better. 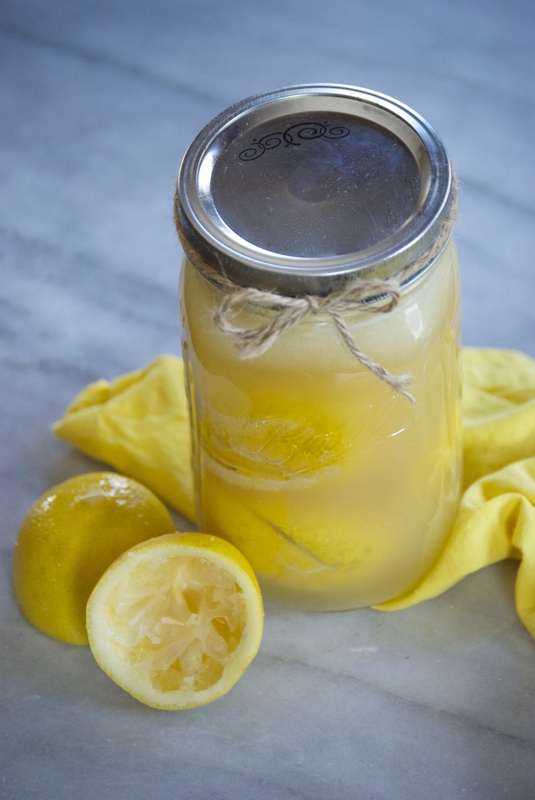 Today’s dish relies on my favorite citrus curd recipe. It’s foolproof. 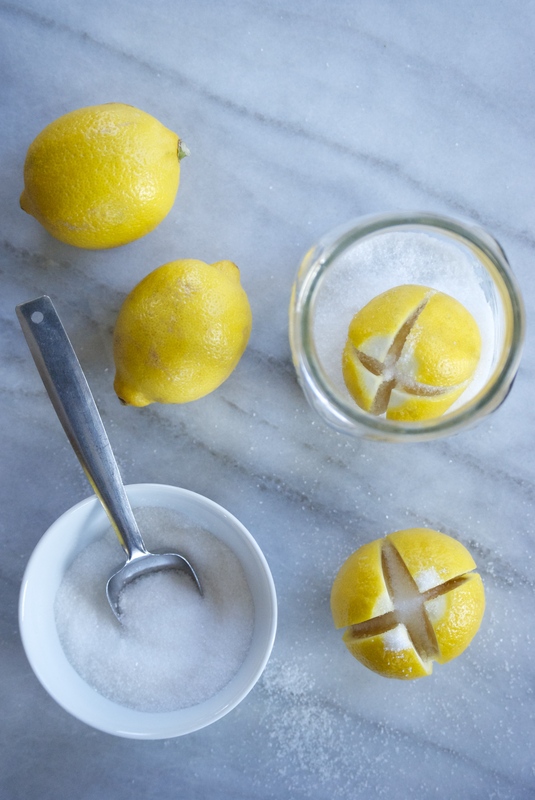 You can use any type of citrus (lemon, grapefruit, and lime work too! ), and it’ll turn out perfect every time. Personally, I love lemon curd the best, but Radd is a big fan of orange, so this batch was for him. 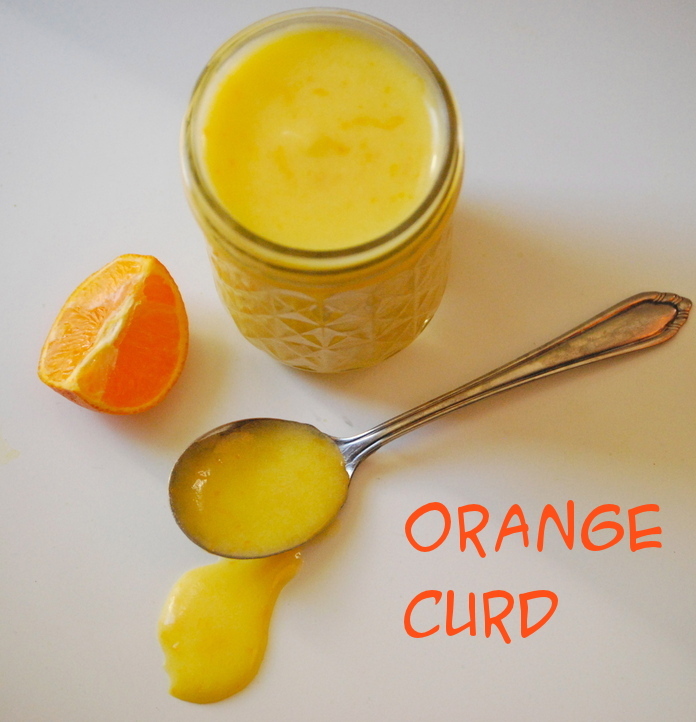 One of the best things about curd is that it’s so versatile. It’s a great topping for shortbread or toast. I often fill white cupcakes with it and top them with a beautiful meringue frosting. 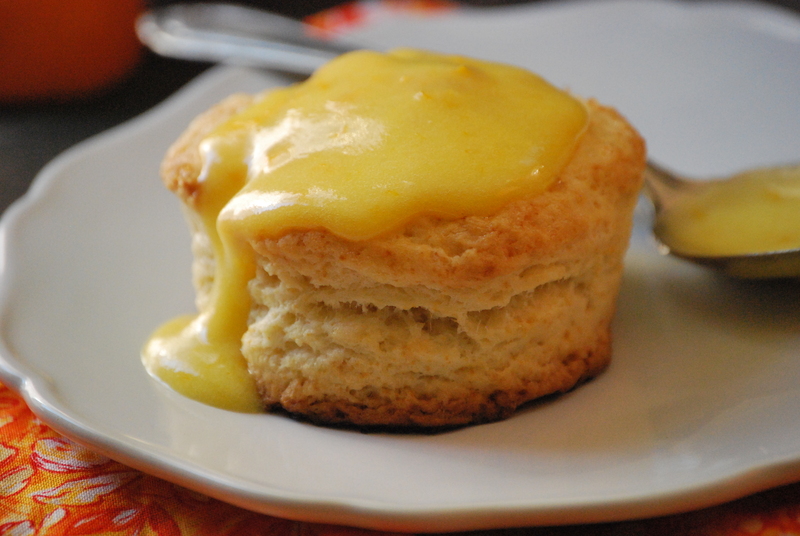 And of course, it is perfect paired with classic scones, the second recipe for today’s dish. You know the kind I’m referring to– the one’s that aren’t fussy or fancy. The ones that go with anything. Jam and clotted cream, anyone? 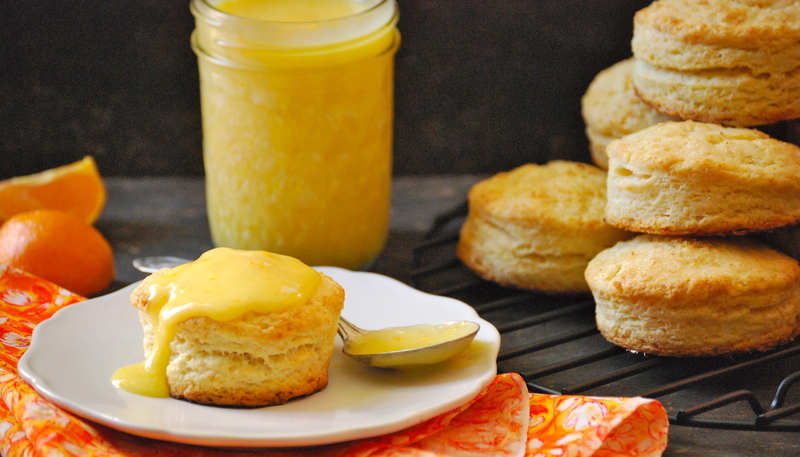 Spread a little fresh citrus curd on a scone, pour a cup of coffee, and take in the Spring morning. Perfect. In a small bowl, combine the eggs and egg yolks and lightly beat, set aside. In the bowl of a stand mixer fitted with the whisk attachment, add the butter and sugar. Beat for about 2 minutes. Slowly add the eggs. Beat for 1 minute. Pour in the orange juice and continue to mix. The mixture will look curdled — this is fine, it will smooth out as it cooks. In a medium heavy-bottomed saucepan, cook the mixture over low heat until it begins to look smooth. 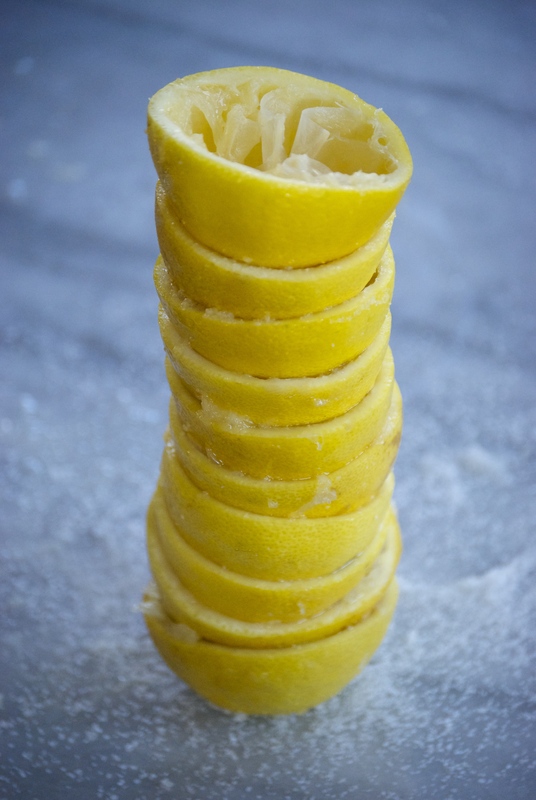 The curdled appearance will disappear as the butter melts. Increase the heat to medium and cook, stirring constantly, until the mixture thickens, between 10-15 minutes. It should leave a path on the back of a spoon and a thermometer should read 170°F. Do not let the mixture boil. Remove from heat. Stir in the orange zest. Transfer to a bowl and place plastic wrap against the curd to keep a skin from forming. Place in the refrigerator. The curd will thicken as it chills. It will last in the refrigerator covered for 1 week or frozen for up to 2 months. Preheat oven to 450°F. Line a baking sheet with parchment paper. 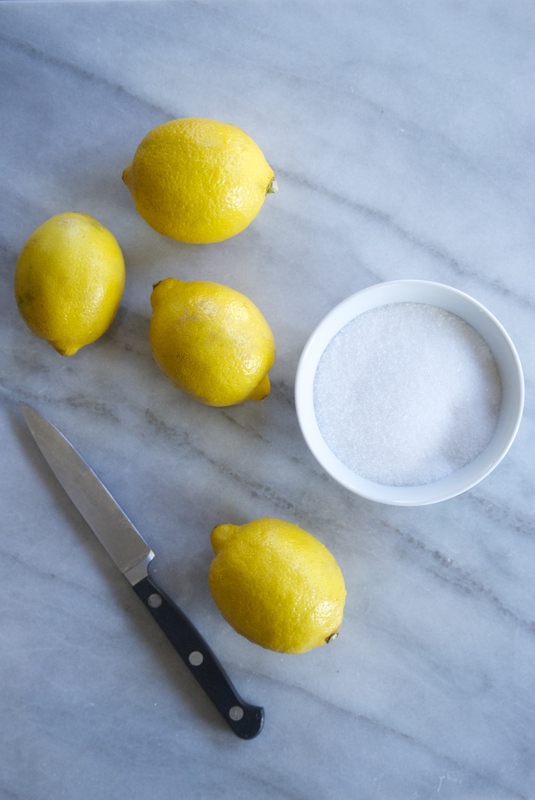 Add the flour, salt, baking powder, and 2 tablespoons of the sugar into a food processor. Pulse a few times to combine. Add the butter, and pulse a few more times until the mixture resembles cornmeal. Medium chunks of butter are just fine. Add the egg and enough of the cream to form a slightly sticky dough. It should stick to your hands a bit, but shouldn’t be overly wet. Adjust cream/ flour as necessary. Remove dough from food processor and place on a lightly floured surface. With flour on your hands, pat dough into a flat 3/4-inch thick circle. 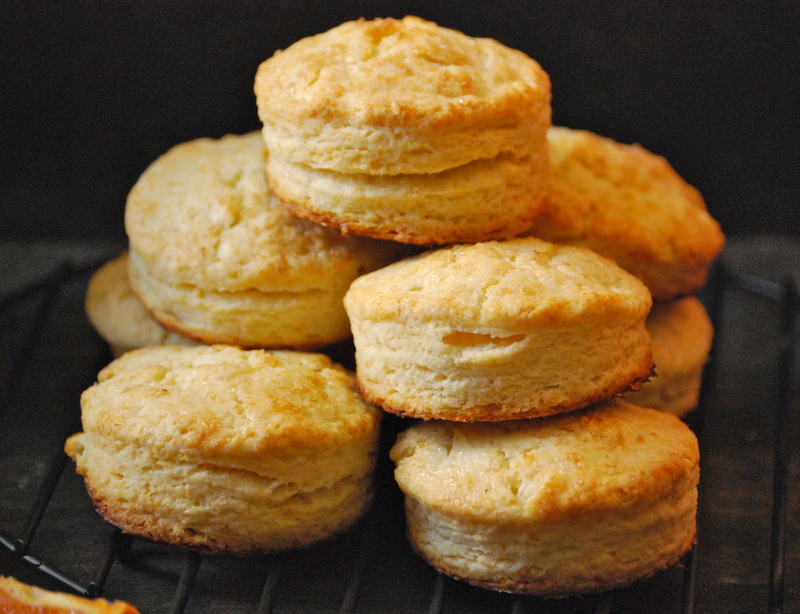 Use a round 2-inch biscuit cutter to cut out scones. Place them on the baking sheet. Brush with cream and sprinkle with remaining sugar. Bake for 9-11 minutes, or until they are golden brown. Thanks for stopping by Relishing It! Hope you all have a wonderful weekend. For the last few weeks, I’ve been obsessed with kumquats. I’ve been blending them to make salad dressing, slicing them thin as a salad topper, and making this delicious marmalade. 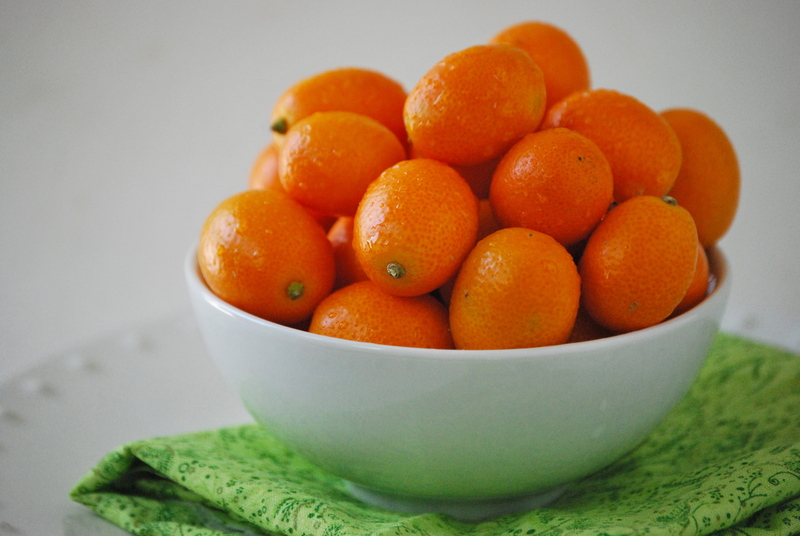 For those of you who haven’t tasted a kumquat, they are quite tart. I guess the best way to describe their flavor is like a cross between an orange and a lemon– with the emphasis on the orange-like qualities. And they’re perfect for this citrus-obsessed girl. I almost decided not to share this recipe, since it’s hardly a recipe at all. I thought it might be ridiculous to write about something made from just three ingredients– one of them being water. But I kept on making batch after batch of this amazing marmalade, and eventually figured I had to share it. 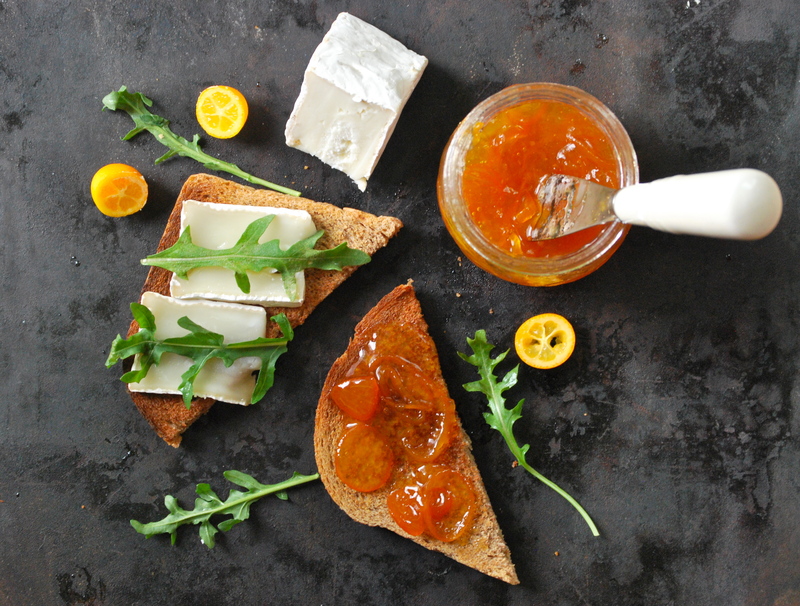 I’ve been enjoying this marmalade on sandwiches with brie and arugula. Sometimes I even throw a piece of bacon on top, because bacon goes with everything (I know we’ve already established this). It’s true though. The salty bacon works so beautifully with the sweet, yet tart flavors of the marmalade. Sometimes, for a little added punch, I like to sprinkle some red pepper flakes on top. And aside from brie, this topping goes well with both ricotta and goat cheeses. Fresh herbs, such as thyme or rosemary, are also great additions. Come to think of it, I may even throw a sprig or two into the next batch. It would make a dramatic topping for a rich vanilla cheesecake…with a bit of rosemary for garnish! The most time-consuming part is slicing all of the kumquats, but after that it’s smooth sailing. The recipe here is for one jar, but I usually increase the ingredients to make four or five at a time. Since I love to give homemade things away for little gifts, I’ve been using the larger batches for that purpose. It’s like giving a little jar of sunshine. 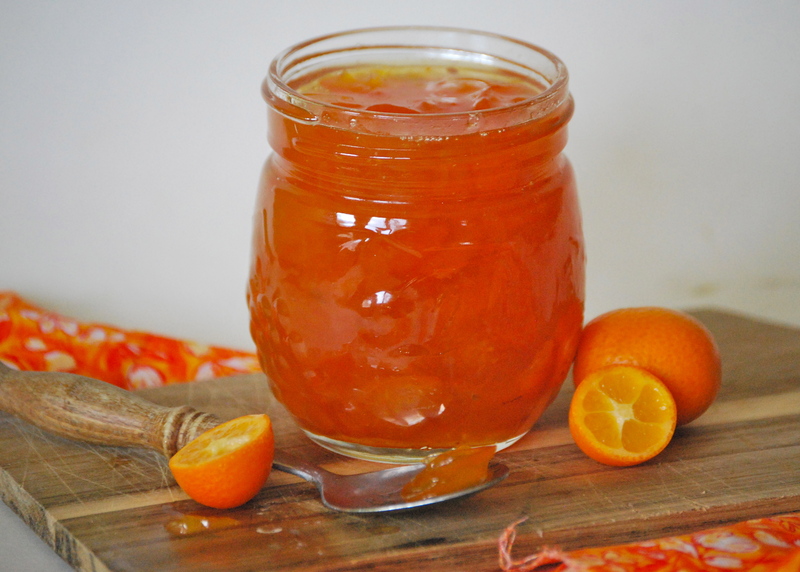 Make some of this fabulous marmalade, give some away. It’ll make you happy. I promise. 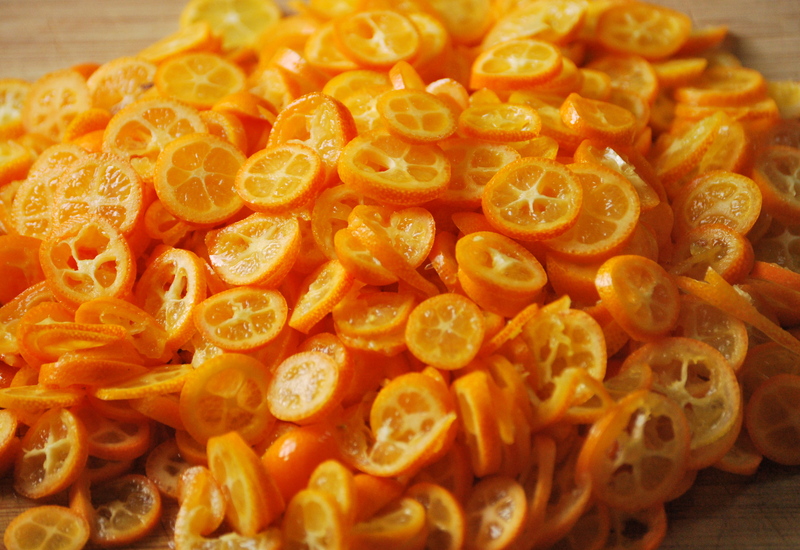 To make the marmalade, wash the kumquats. 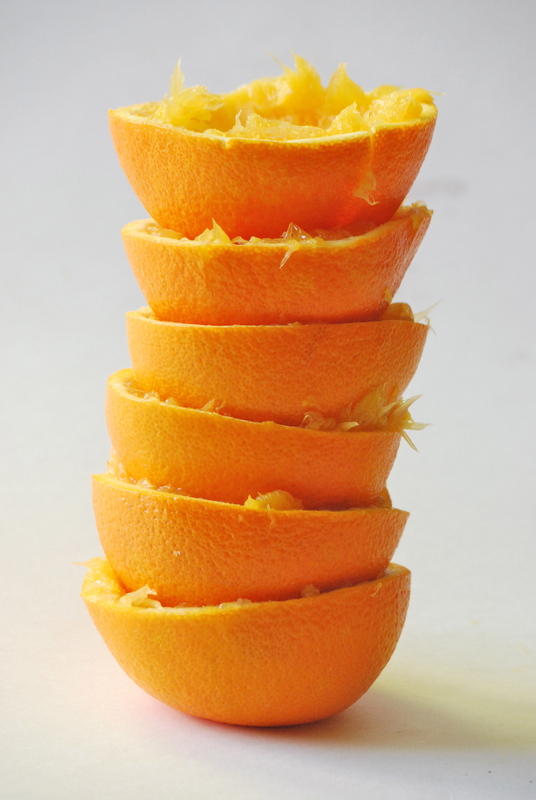 Slice them as thin as as you can — peelings and all. Carefully remove the seeds, as you come across them. In a small heavy-bottomed saucepan over medium-high heat add the kumquats, sugar or honey, and water. Sir with a wooden spoon. 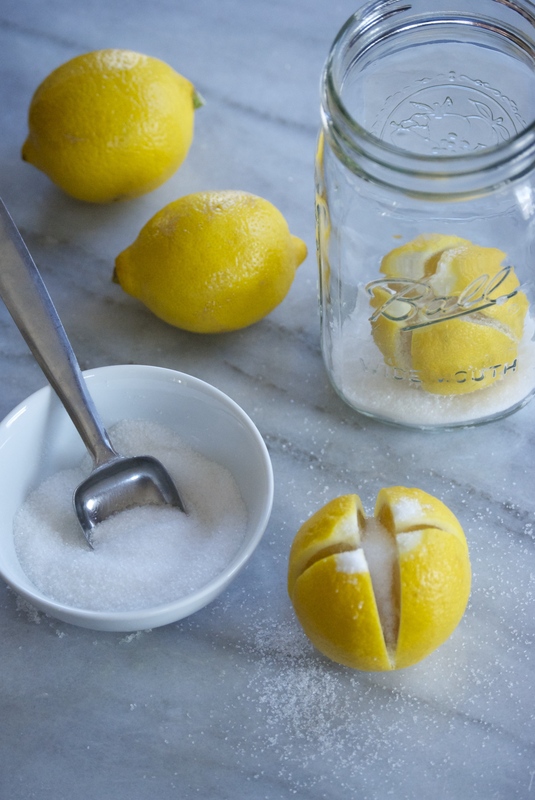 As you do this more tiny seeds may float to the top of the water — remove them with the spoon. Bring to a boil, then immediately reduce the heat to an aggressive simmer. Cover with the lid and stir frequently. 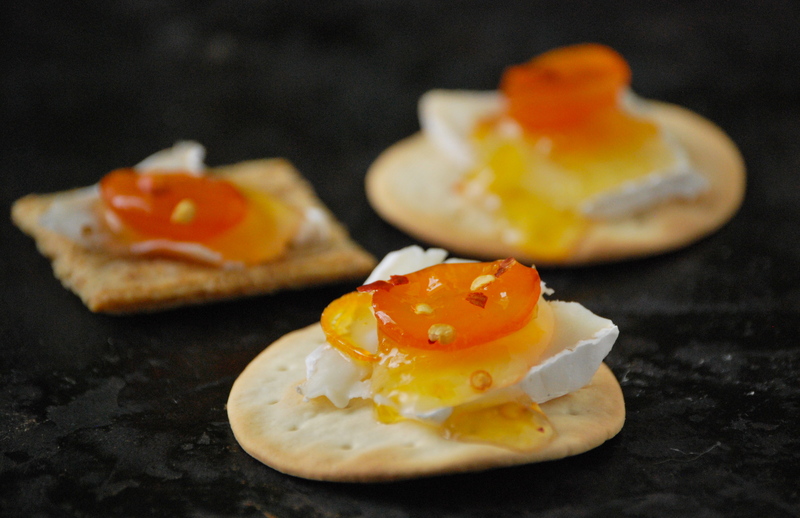 After about 30 minutes the kumquats should be tender, though it may happen sooner depending upon your heat level. Remove the lid, raise the heat, and let cook a bit longer until the mixture becomes your desired consistency. About another 15-20 minutes is where I like mine, though it will depend on how high your heat was. Keep in mind that it won’t completely thicken until it is chilled in the refrigerator. 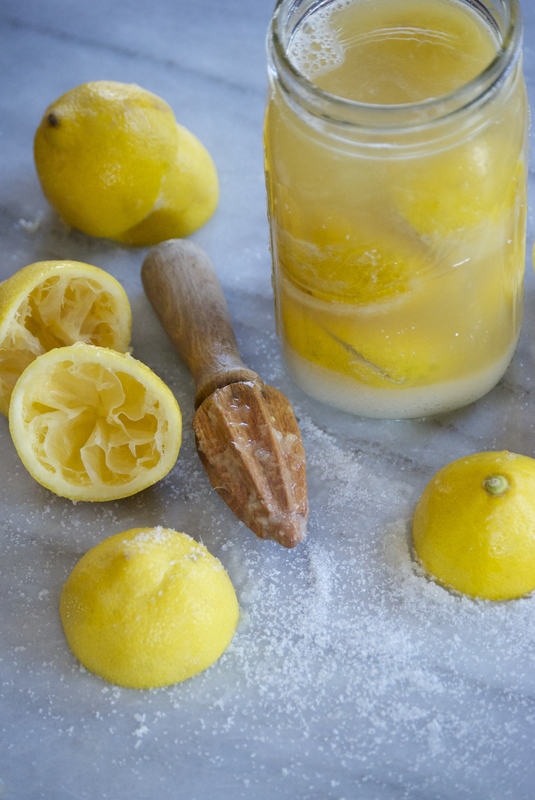 Remove from the heat and let cool a bit in the pan before you pour it into your sanitized jam jar. Put into the refrigerator to chill. It will keep for about a month — though it will be long gone before then.